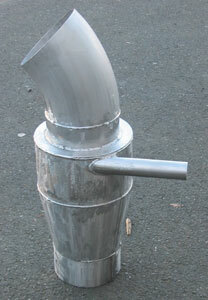 Always made of 316L SST (because of contact with seawater) the function of a wet exhaust on a marine exhaust system is to collect the exhaust gasses and engine’s cooling water à water injection system outlet. This principle allows to cool the water down at the engine’s outlet and dump it overboard. 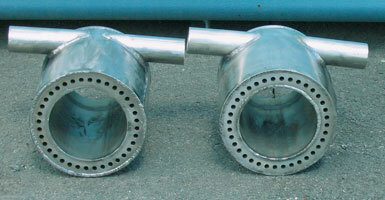 The exhaust manifold is sized according to the engine’s water pump flow and exhaust gas flow. 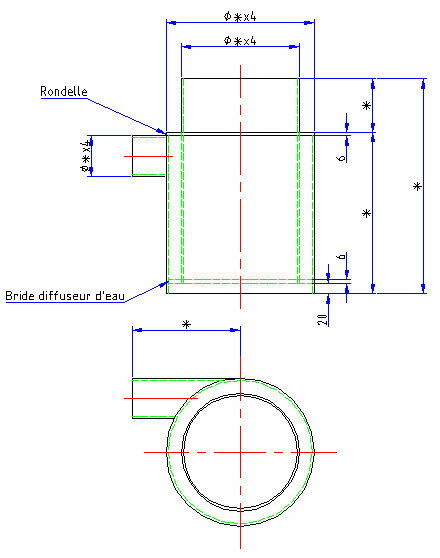 These datas allow to calculate the water pipe diameter at the injection flange pick-up. * This quotation is valid for one month, depending on the steel price variations. The collected informations are used informatically in order to evaluate your technical needs. The receiver of the date is PG Services company. Accordingly to the «informatic law» of January 6, 1978, you profit a right of access and correction of information of your concern.